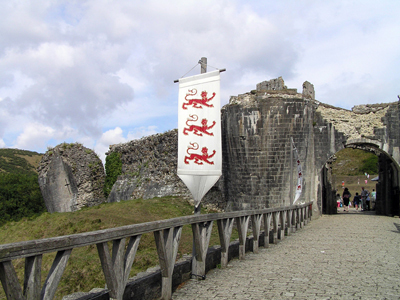 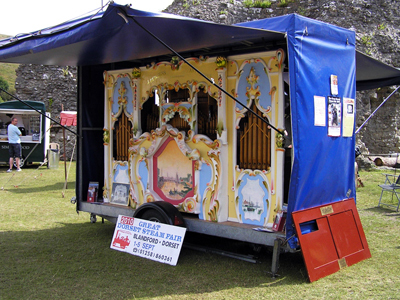 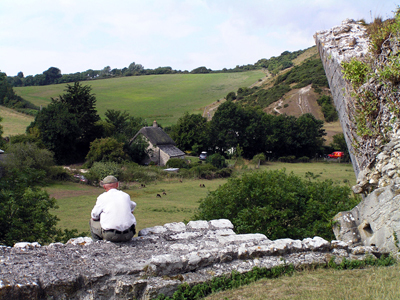 On August 11, 2010, we visited Corfe Castle in the Isle of Purbeck, East Dorset. 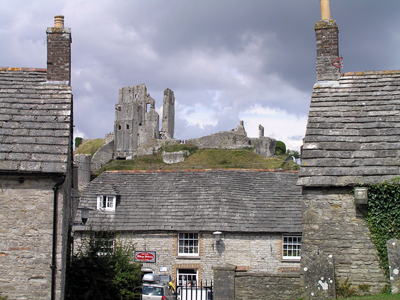 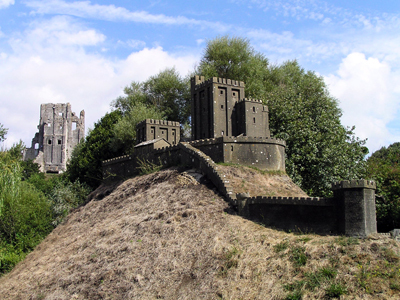 We didn’t realise until the morning that it happened to be the birthday of children’s book writer Enid Blyton, who featured Corfe as Kirrin Castle in her Famous Five books. 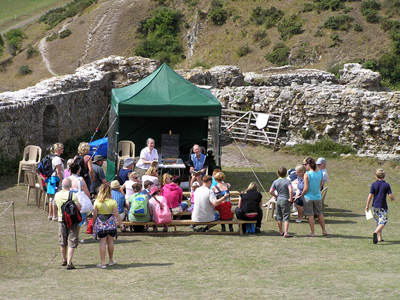 So it was a busier day than usual at the tourist attraction. 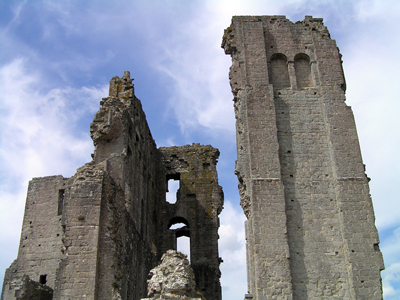 The castle also features in the science fiction alternative history novel Pavane by Keith Roberts – one of my favourites. 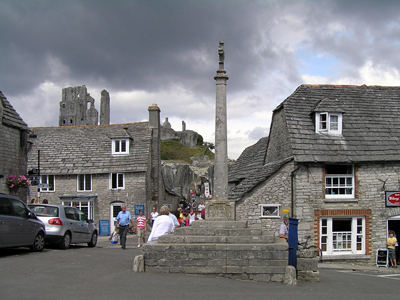 The Isle of Purbeck is famous for its building stone – marble was quarried here as far back as Romano Celtic times, although they took a break during the Dark Ages, between the leaving of the Romans and the arrival of the Normans. 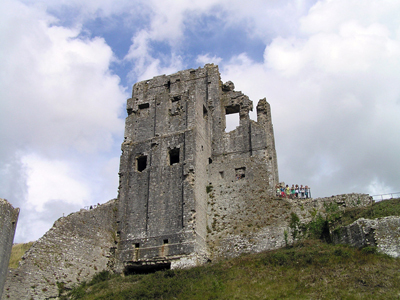 The Normans soon built a wooden fort at Corfe and by 1106 they had replaced this with a stone keep atop the hill. 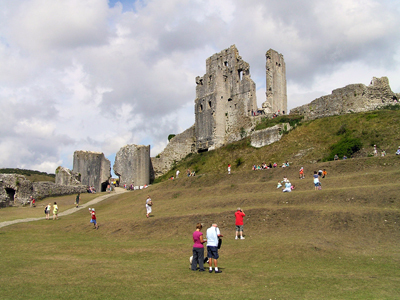 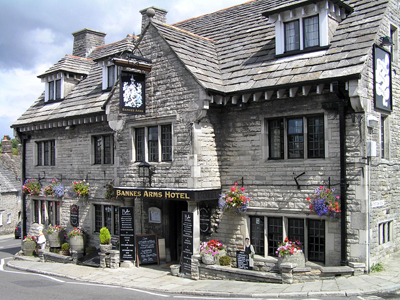 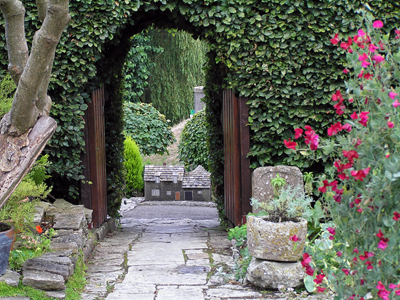 This was developed over the centuries until Corfe Castle became the largest and most beautiful medieval castle in Dorset, with a village growing at its feet. 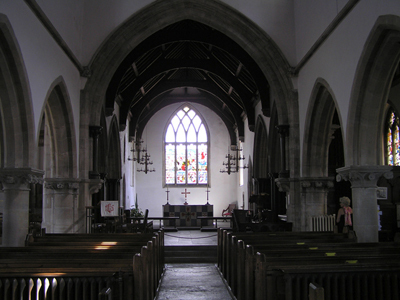 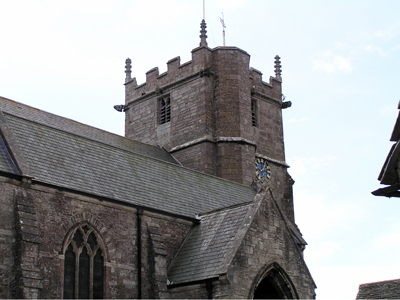 The village’s Church of St Edward, King and Martyr, was built in the 13th century, the tower added around 1400 and everything but the tower remodelled in the 19th century. 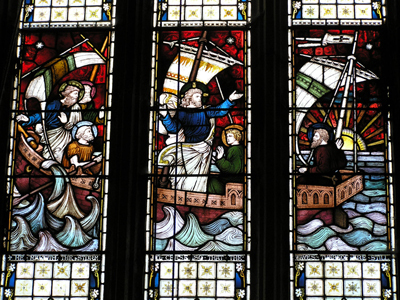 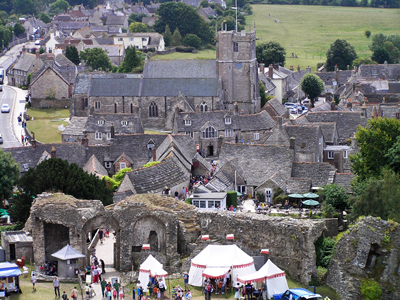 But the big story of Corfe is its role in the English Civil War. 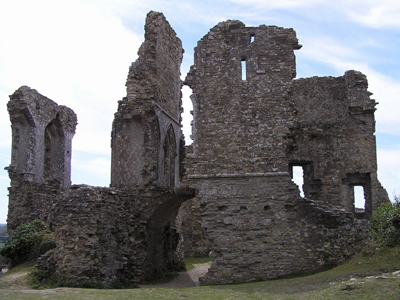 In 1643 most of Dorset was in the hands of Oliver Cromwell’s Parliamentarians but Corfe Castle was owned by Royalist Sir John Bankes. 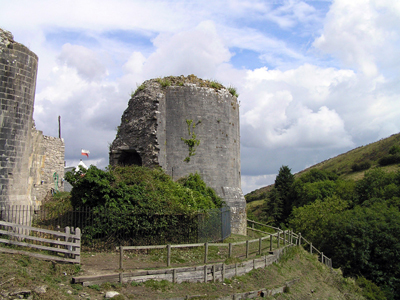 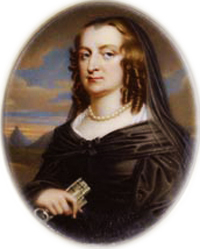 The castle was first besieged in 1643 while Sir John was away with the King (Charles I) so his wife Lady Mary Bankes held the fort – literally – and survived despite having to give up her four cannon when the Parliamentarians threatened to burn the villagers’ homes. 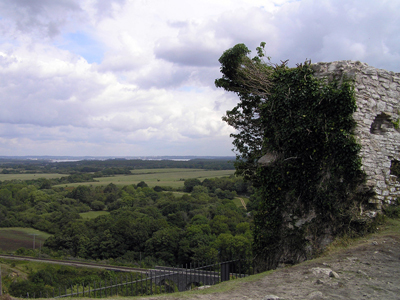 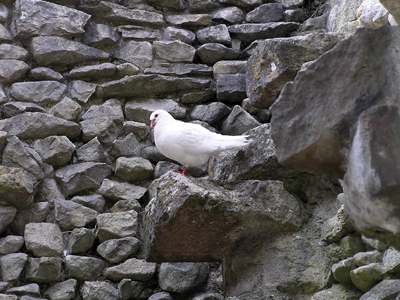 Sir John died in 1644 and Lady Mary faced another siege in 1646. 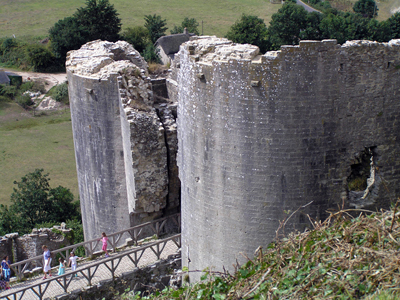 This time the castle fell but only through treachery – one of her own officers, a Colonel Pitman, let in the enemy through a sally port (side gate). 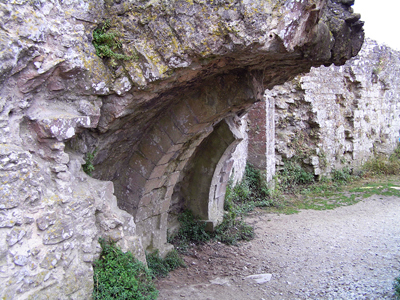 Despite losing the castle, for her bravery Lady Mary was allowed to keep the keys – not that they were much used to her as the castle was utterly destroyed by the Parliamentarians, using gunpowder. 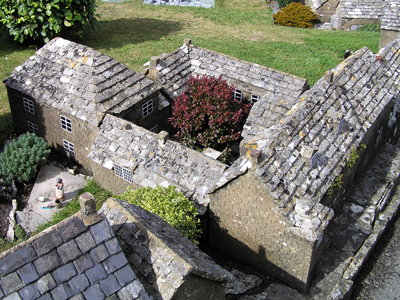 They did a good job and much of the stone was reused to make the cottages we see in the village today. 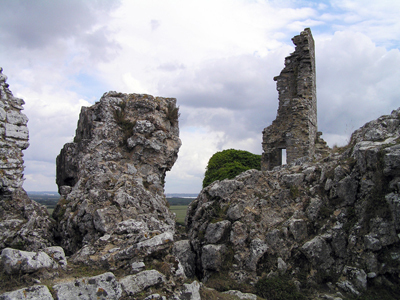 It’s now a romantic ruin with views over a gap towards the sea at Poole and is now run by the National Trust. 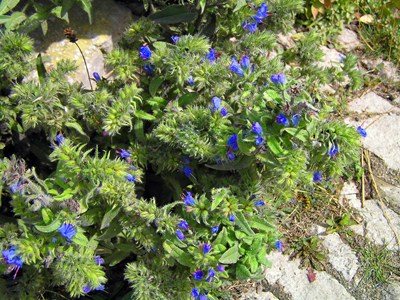 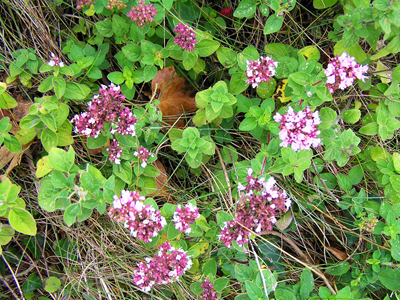 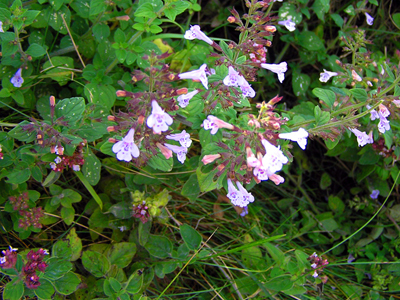 Another wild flower growing on the stones - perhaps a variety of calamint? 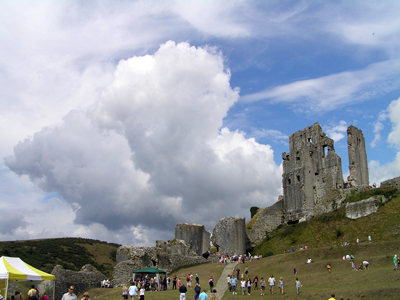 A last backward look at Corfe Castle before leaving through the Outer Gatehouse - great clouds! 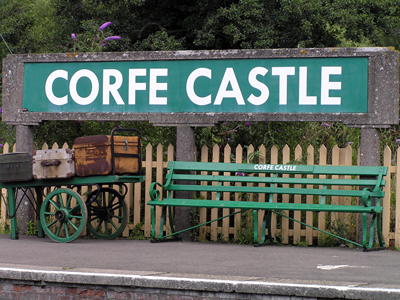 Can’t get enough of Corfe? 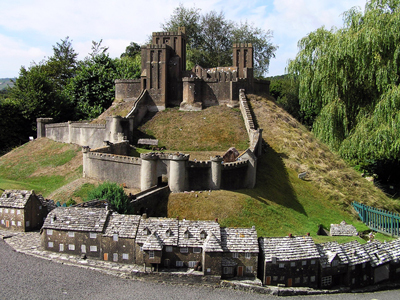 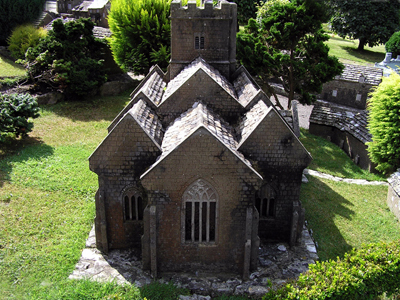 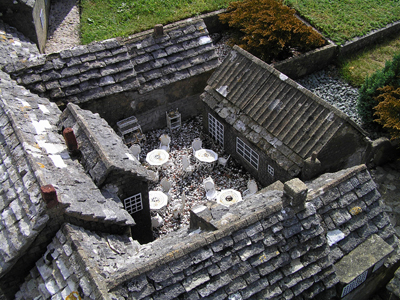 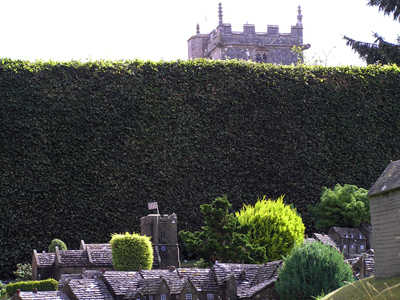 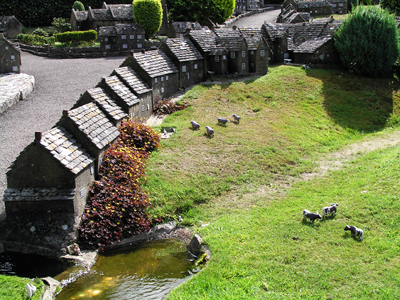 There’s also a model village in the village – it was opened in 1966 and is built to a 1/20th scale. 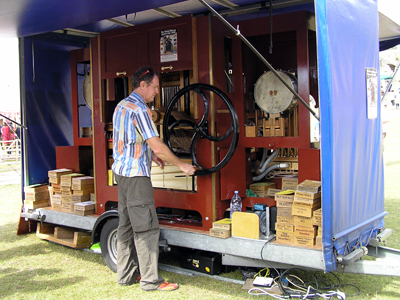 Go to the official website here. 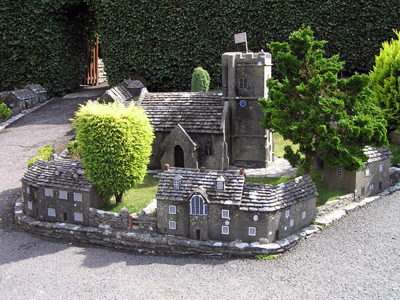 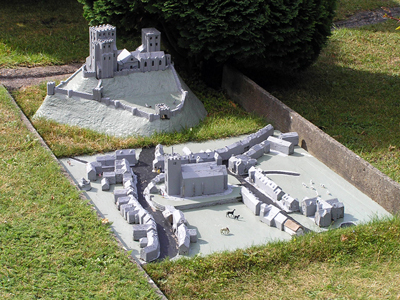 I used to visit the model village as a child, with my Grampy Giles, and it still has a certain charm, oriented in the same direction as the real village itself, so from one end you can see the model castle alongside the real ruined castle and at the other the model church alongside the real church. 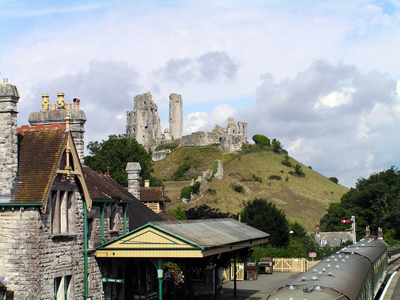 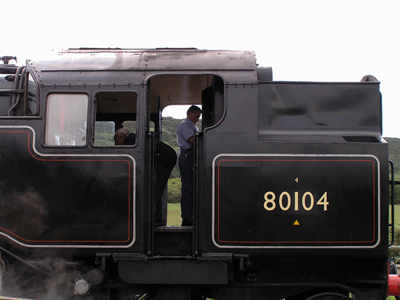 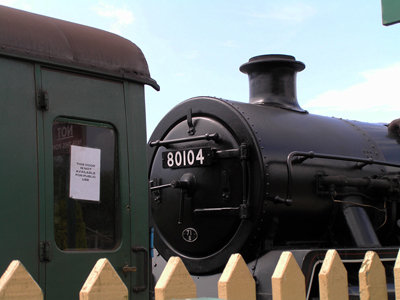 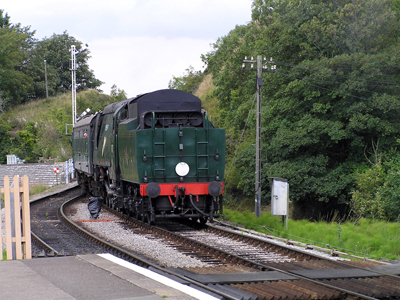 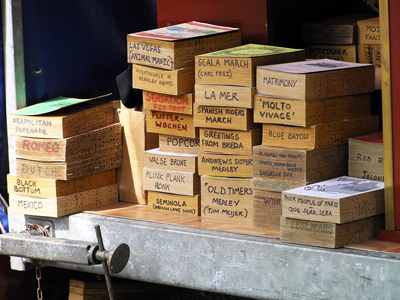 Click here to find out more about the Swanage Railway.